Pursuant to the Alien Business Act, the Ministry of Labor requires an alien to obtain a valid work permit before the Department of Labor and Social Welfare in order to enter Thailand for employment purposes. 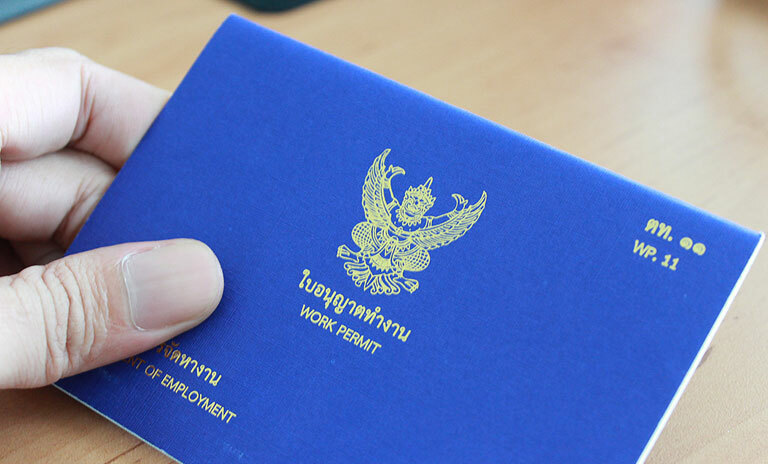 A work permit authorizes the holder to work in Thailand. Normally, a work permit is required prior to arrival of the foreign employee, thus it becomes a practice that the employer obtain the work permit for the employee. The employer is required to submit a letter stating that the applicant has been offered a job and the company requests that the applicant shall be given a Non-Immigrant Visa or a residence permit in order for the company to engage the foreigner for employment. In Thailand, before a foreigner can secure a valid work permit, they must first obtain a Non-Immigrant Visa, particularly “Non-Immigrant Visa B which is valid for a period of 90 days. He or she may however apply for an extension of the same in the Office of Immigration Bureau. After the approval of the Non-Immigrant Visa, the next step is to apply for a work permit. 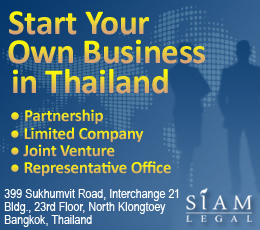 In Thailand, the job description of the applicant determines the approval or denial of the work permit. Hence, it is advisable to consult the Ministry of Labor for vacancies and availability of the work applied for by the foreigner. The foreign employee normally is required to submit relevant documents such as copy of every page of their passport which must also be signed by the employee, the non-immigrant visa, Departure Card TM.6, copy of transcript of records, degree or resume, which sometimes are required to be authenticated by the Embassy of the foreigner’s country. It is also required that a foreign employee submit a doctor’s certificate stating that he is in good health condition, three (3) 5 x 6 cm in size photo of the foreigner wearing business attire which must be taken within six (6) months before the application for the Thai work permit. If a foreigner is married to a Thai national, he/she is required to submit in addition to the foregoing their marriage certificate as well as the Thai spouse ID card, birth certificates of their children and household registration. Upon receipt of the approval of the work permit, the foreign employee is required to register and get his own Tax Identification Card. He or she is also required to get a re-entry permit before the expiration of their entry permit. The foreign employee is also required to renew their visa and work permit. In order to avoid possible conflicts with Thai authorities, the foreign worker must carry their work permit and they must perform the work according to to the duties listed in the work permit. They must remember important dates such as the expiration of their work permit in order for them to timely apply for an extension. If the work permit is damaged or lost, the foreign employee must seek a substitution of the same within 15 days from knowledge of its loss or damage. In cases of change of nationality, first or last name, address or working place, the foreigner is mandated to inform the Employment Service Office of the Ministry of Labor. When the foreigner resigns from work, they are also required to return the work permit within seven (7) days from the date of resignation. And if the foreigner changes the nature of his or her employment or his or her employer, they must secure a new work permit. It must be borne in mind that the work permit provides for certain work restrictions, thus the foreign employee must remember these restrictions to avoid legal consequences.